The General Overseer of Omega Power Ministries, Apostle Dr. Chibuzor Chinyere, who is a well known but lowkey philanthropist, allegedly rejected a Rolls Royce for his 44th birthday. 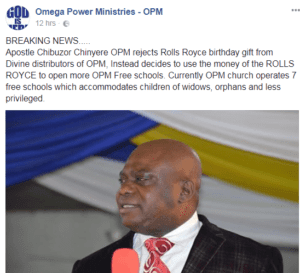 Apostle Chibuzor Chinyere OPM rejects Rolls Royce birthday gift from Divine distributors of OPM, Instead decides to use the money of the ROLLS ROYCE to open more OPM Free schools. 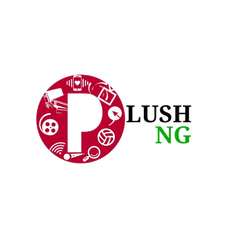 Currently OPM church operates 7 free schools which accommodates children of widows, orphans and less privileged.